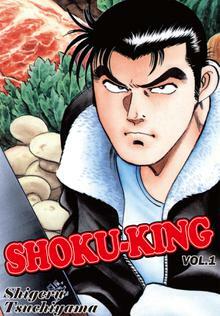 Cooking Manga｜MANGA.CLUB｜Read Free Official Manga Online! At first, Mantaro Ohara was just an ordinary salaryman with slightly bigger appetite. For Mantaro, eating is something to be enjoyed and the idea of food battle does not sound attractive to him. But his meeting in Pork Cutlet store with the professional competitive eater, George Hunter, gradually changed his view and passion towards gourmet competition... And they probably would not let this unexpected "dark horse" escape either. To eat is to fight! 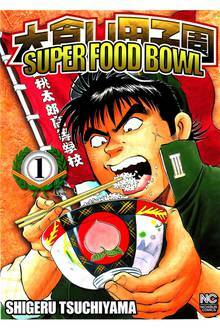 There’s only one thing Momotaro High desires—the glory of Super Food Bowl champion! Back from his 15 years of disappearance in Gourmand scene, Kutaro Moriyama started as a coach in the now-weaken Momotaro Gourmand Club. With endless appetite and fierce hungriness, Super Food Bowl brings you the taste of bold men-bonding through delicious gourmet! 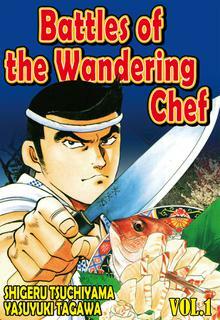 The drifter gambling chef Hanjiro Daicho!! His cooking is unbelievably delicious!! He'll change this world's B class gourmet into first class!! 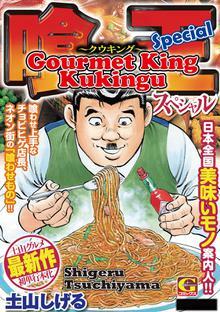 The giant of the world of gourmet manga Shigeru Tsuchiyama brings a new delicious work to Japan's recession. Your life will take a turn! Eat it, the shockingly delicious Food Explosion!! A mysterious Hostess club manager Mondo Kuwase, known as Kuwamon, starts working and introduces everyone to the world of local and regional food from all over the country! 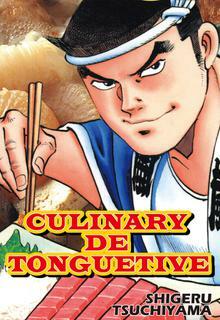 A new sensational gourmet manga! The master of the Izakaya "Arakan" is also a famous detective. In accordance with the veteran police detective Numata's request, he joins the investigations. 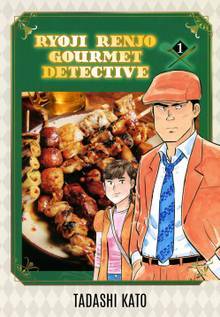 A gruelling detective story blended lightly with cuisine and seasoned with some human drama. The protagonist is the second son of the Yanagiya Restaurant, Short tempered and has had a lot of problems with the police. He trained himself in the art of flavor through working at street stalls. 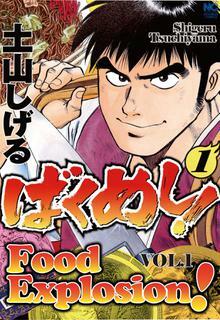 His creative way of cooking gives a glimpse of his true potential.<br><br> However after learning the difference between an amateur and professional in his battle against his older brother who has taken over the family business, he has left on a journey to train...<br>The 18 year old hooligan of a chef Musashi, from Mito. takes to the front lines, going to the extreme to create a flavor that captures the hearts and tongues of everyone who tastes it!! 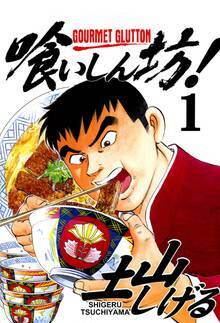 Taking a down and out restaurant on the verge of closing it's doors, retraining the staff, and rebuilding it into a booming business, this hot blooded gourmet comic tells the story of the legendary chef Toshizo Kitakata. Son of the owner of Mitsubachi, an unpopular restaurant, Shoichi goes hat in hand to plead for Kitakata's help and he is taken to an unexpected place for training...!! Have you ever worried about someone putting poison in your food? Tatsuki Inari thought she didn’t need to worry about it, either. 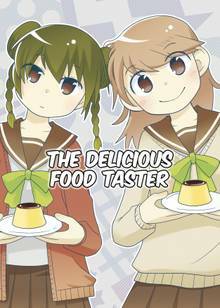 And then one day, Yamabuki Suzushiro was appointed as her personal food taster! Tatsuki doesn’t really know why she needs a food taster, or why Yamabuki is always protecting her. That is until Tatsuki makes a huge mistake in cooking class! What secrets do her family hold and why is it she needs someone to check all her food for poison? Shokudama is set in late Edo, the time when our contemporary food culture first began to develop. 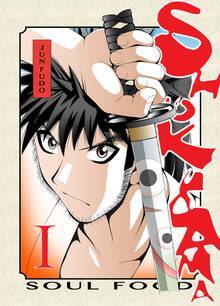 In the city full of lively merchants and townsmen, Himura Tamanosuke, a freelance guardian with a sharp sword skill, live frivolously with his two younger siblings. One night, he was visited by the “Souls of Food” demanding to help them return to Nirvana since his dead Father couldn’t. Tamanosuke couldn't just sleep on the "nightmare" since he was threatened by death curse... But how exactly should he help 108 food souls! Ryoji is just supposed to be that private detective everyone hires to solve their trivial personal cases. But why does he have this outstanding cooking skill that mesmerizes every cook he met in the investigation? What is his connection with the famous head from Togawa restaurant? Together with Aoi, the outgoing woman who's also a foodie, Ryouji spread his cooking skill that will bring more taste to Japan's urban culinary!